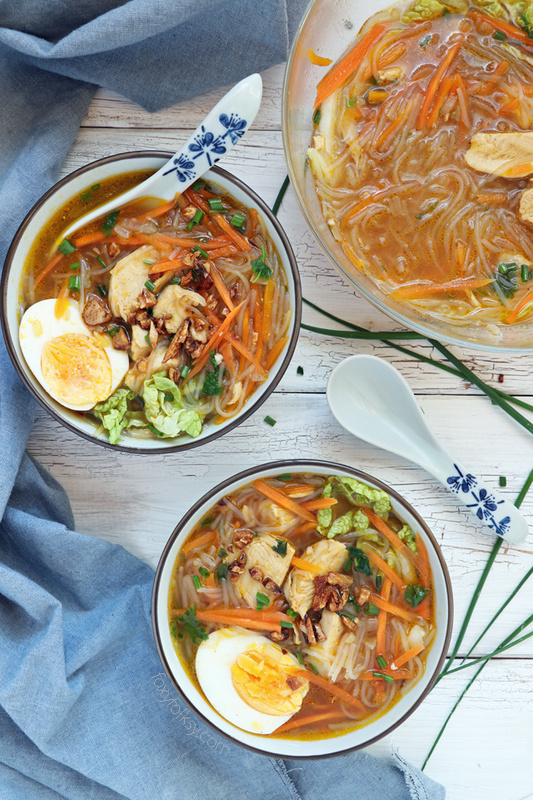 Try this Chicken Sotanghon Soup. 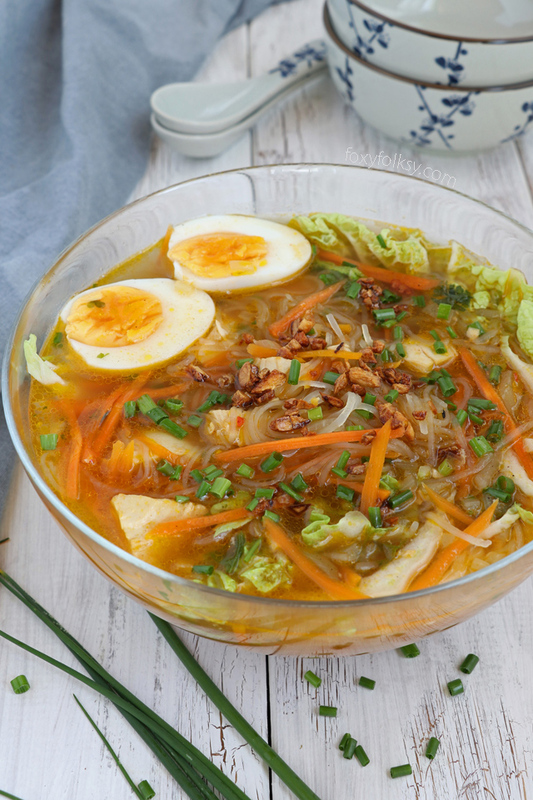 A tasty and immune-boosting Filipino chicken soup with slippy cellophane noodles. Have I told you how much I love soups? I love soups so much I can eat them all year round, even at the peak of summer. Nevermind getting sweaty all over at that. Soups also have to be hot! And I mean straight from the pot steaming hot, I wouldn’t have it any other way! And yes, I’ve burned my tongue (and esophagus) a lot of times too! I think I am a bit of a masochist that way. 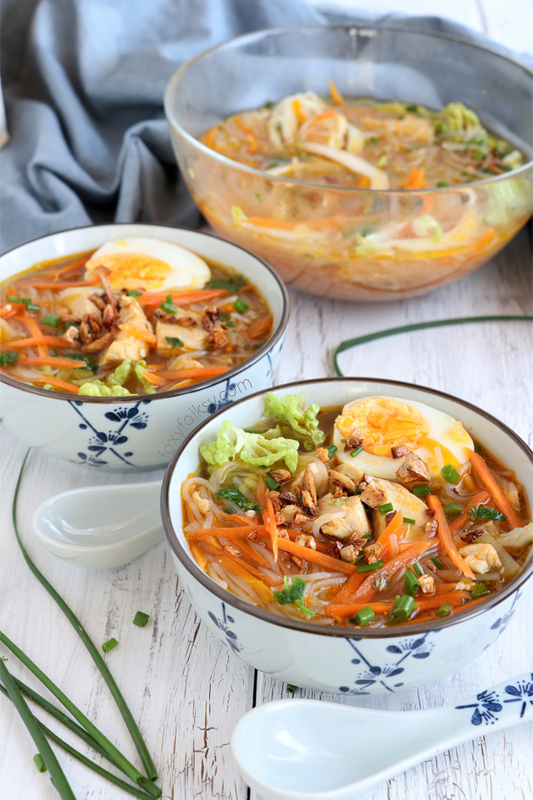 One of my all-time favorite soups is this chicken sotanghon! 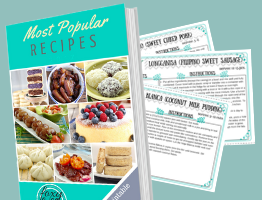 It is delicious, full of flavors and hearty! A complete meal all in itself. Another thing that makes this soup special is the sotanghon noodles (cellophane noodle, bean thread noodle or crystal noodle). It has a unique quality unlike other glass noodles, it is slippy! Like the noodles used for Japchae. 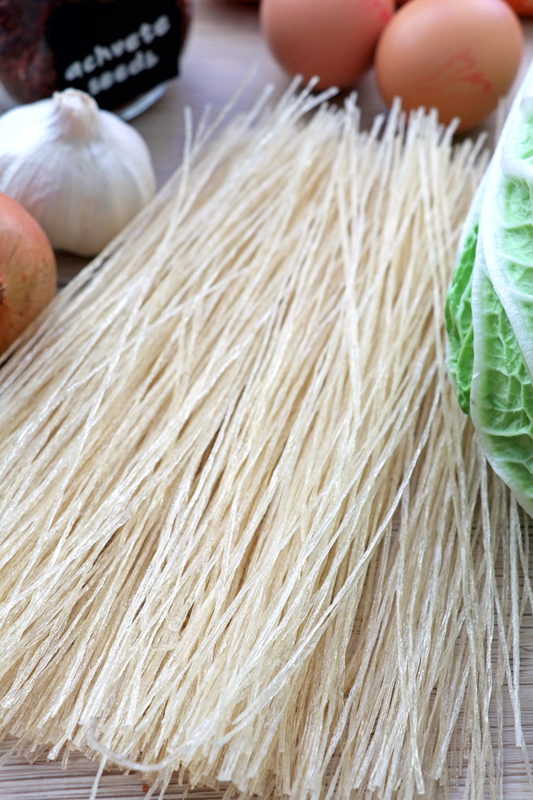 Cellophane noodles are made from starch from either mung beans, yams, potatoes, cassava. 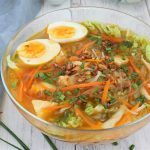 This chicken sotanghon soup is, of course, perfect for the rainy season, which, in the Philippines, officially starts next month (unofficially, I think it already is)! Not only will it keep you warm and full, it should also be good for boosting your immune system. In a large pot, boil chicken in 8 cups of water until cooked. Remove chicken from broth and cut into slices about a half inch thick. Set the chicken and broth aside. In a large pot over medium-low heat, heat oil. Set about a tablespoon of minced garlic aside. Add the rest of the garlic to the oil and cook until browned. Remove fried garlic from oil and transfer to a small bowl. In the same oil, add onions, garlic and cook until limp. Add the chicken, fish sauce ground pepper and cook for about 2 to 3 minutes. Add chicken broth and chicken broth cube and bring to a boil. 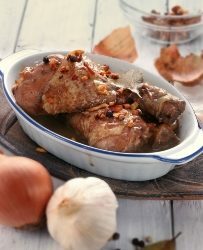 In a small bowl, combine about ½ cup of the hot broth and achuete powder. Stir until achuete is dissolved. Add achuete water to the pot. Add carrots and cook for about 1 to 2 minutes or until half done. Add sotanghon noodles. When noodles have slightly softened, add cabbage and cook for another 1-2 minutes or until noodles are cooked and vegetables are tender yet crisp. Ladle soup into bowls and top with boiled eggs, fried garlic, and green onions. Serve while hot. This is so delicious. I miss how my mom cooked this for us all the time. Since my mom is now in heaven I really didn’t know how she’s doing it. 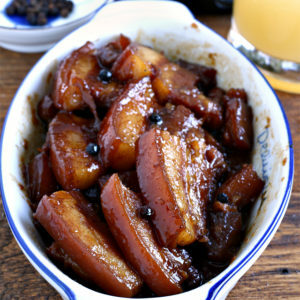 I am thankful that you post this and I tried it last night it is so delicious. Even my husband love it. 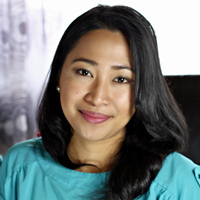 Great to know that you like it Derlina.